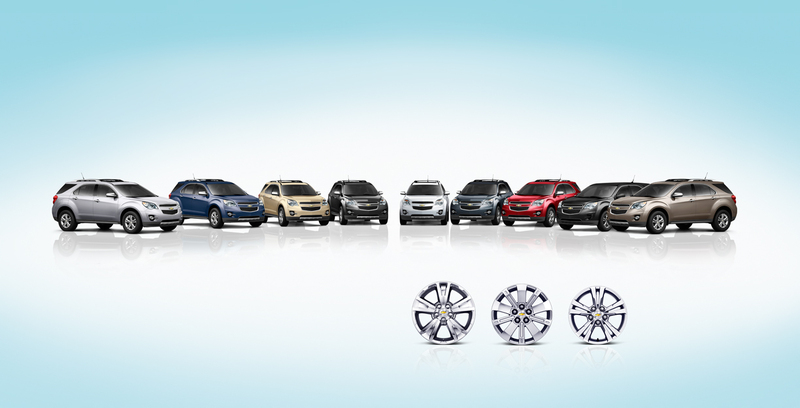 Following a thorough redesign in 2010, the Chevrolet Equinox hits 2012 with no real changes, aside from a few trim updates. Cyber Gray Metallic and Cardinal Red Metallic have been dropped from the list of available colors, but new chrome 18-inch wheels are now available. 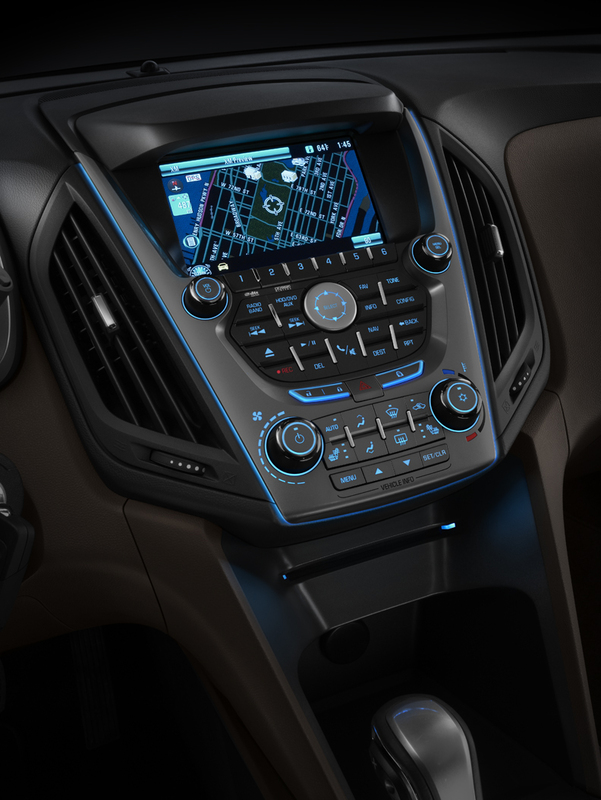 Chevrolet’s MyLink infotainment system has also been added. New standard features include Bluetooth, rear-view camera, collision warning and lane departure warning. Starting at under $23,000, the 2012 Chevy Equinox is one of the most affordable crossover vehicles in its class, rivaling Honda’s CR-V and the Toyota RAV4. The interior features a dual-cockpit design, ice-blue ambient lighting and sophisticated, classy appearance touches that makes it look much more expensive than it is. 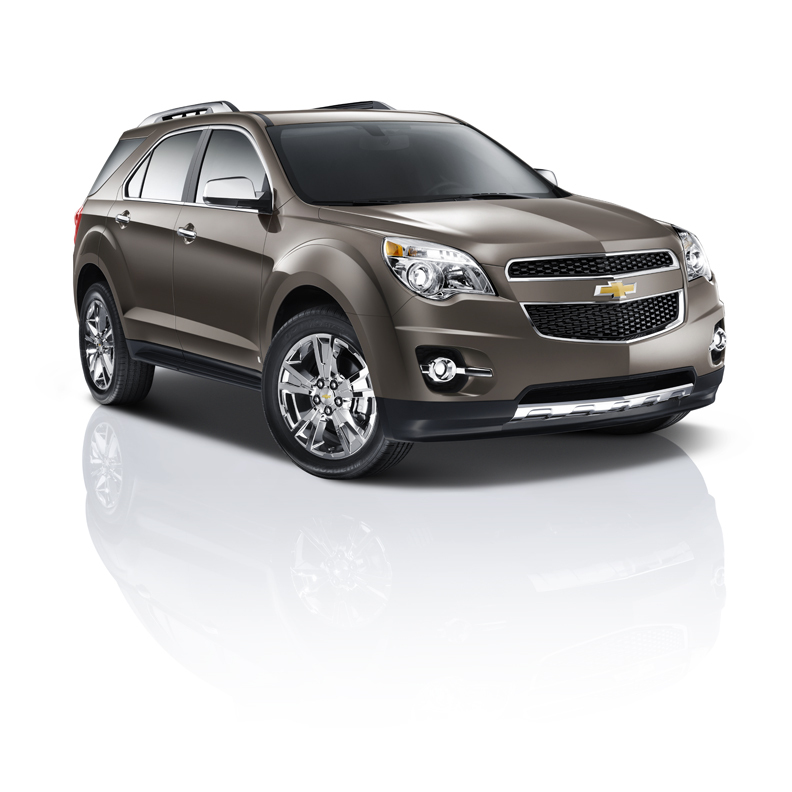 The 2012 Chevrolet Equinox is an exciting contender in the mid-size crossover segment. It has the same platform as the GMC Terrain and shares a general aesthetic with both the Chevy Traverse and the latest Malibu. The Equinox’s rocker panels are integrated into the doors, narrowing the area over which a passenger must step. The body is stiffened with single-piece side stampings plus high-strength steel in critical areas. The Equinox benefits from two engines that are more efficient than ever, each making use of variable valve timing and direct injection. A standard 2.4L 4-cylinder makes an impressive 182 horsepower yet delivers 32 mpg on the highway. All but the LS offers an optional 3.0L V6 engine. This engine is now FlexFuel-compatible and capable of 264 horsepower and 29 mpg on the highway. A 6-speed automatic transmission is standard with both engines. Front wheel-drive is the standard drivetrain, but all-wheel drive is available. Storage areas are everywhere in the cabin, including an oversized glovebox, a closed storage bin in the instrument panel above the center stack and a closed storage bin under the center armrest large enough for a laptop computer. The rear seats feature MultiFlex, which allows the seats to move back and forth a total of eight inches for the best rear legroom in the segment. Standard equipment on all trims includes 17-inch painted aluminum wheels, StabiliTrak stability control, traction control, 4-wheel anti-lock brakes, six air bags, an anti-theft system, an XM Satellite Radio-ready system, iPod and MP3 capability, Bluetooth and one year of OnStar service. Power windows, door locks, remote keyless entry, a tilt and telescoping steering wheel, as well as power mirrors and automatic headlamps round out the generous standards list. Optional equipment on the LS trim includes deep-tinted glass and leather-wrapped steering wheel. The LT trim features a premium Pioneer 250-watt speaker system, power seats, steering-wheel audio controls, a remote starter system and a power sunroof as optional equipment. The top-of-the-line LTZ trim includes chrome trim, projector headlamps and fog lamps, a power liftgate, deep-tint glass, Pioneer speaker system, an upgraded audio system and heated leather seats. With all this standard equipment, the LTZ can also be outfitted with a navigation system, a power sunroof and 18- or 19-inch chrome wheels.